Think of booster seats as an upgrade to the baby seats . As you would expect, booster seats are large and incorporate a more upright design when compared to their predecessor. Booster seats are suited for toddlers ages between 3 to 7. There are numerous options available out there in the market but two best-sellers out there are Graco Affix and the Graco Turbobooster. Both models from Graco have proven themselves to be amongst the premier booster seats available. But between these two, which one reigns supreme? Graco Affix VS Turbobooster – to find out which one is better. 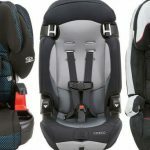 Before we compare the two Graco booster seats, it is best to first inform you of the essential features that you should look for in a booster seat. As they say, knowledge is power and by understanding a product you can confidently make a better and informed decision by yourself. Knowing the key features to look for can help you narrow down choice quicker and easier. Booster seats are designed for children ages 3 to 7 years of age; however, your child’s growth can affect that recommendation. The booster seatbelts should fit snuggly, not too tight and not too loose. For example, the lap belts must loop over the child’s upper thighs and not their stomach. The shoulder belt should stay across the child’s should and chest area. A rule of thumb for those who are just about to buy their first booster seat is to always choose the 5-point harness design. 5-point harness booster seats offer a considerably higher safety rating than the standard 3-point harness design. Don’t pick a booster seat that utilizes a complicated harness and seatbelt design. 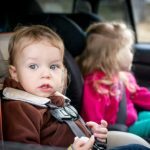 It should not be complicated and securing your child comfortably onto the booster seat should not take more than a minute. One feature you should look for that can make using the harness simple and easy are the belt paths. This will allow you to immediately figure out which side goes where. Your kid should also be able to easily operate the harness without much difficulty. The inclusion of extra adjustable harness slots can give the booster seat an improvement in its longevity. As children’s growth vary, it is best to get a booster seat that is adjusted properly to accommodate the toddler’s growth rate. 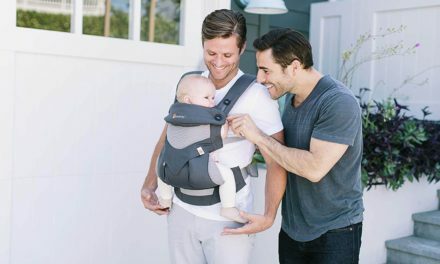 The inclusion of three crotch strap slots can also improve the overall safety of the child so consider that feature as well. Now that you have a grasp of the key features a booster seat must have, it is time to take a look at your side of the spectrum. Before making a purchase, it is important that you take into consideration what you have as well. Below are questions that you must answer in order to get a better picture of what type of booster seat will suit you and your child best. Can your child fit comfortably on the booster seat? Try it out first if your child can fit snugly into the booster seat with ample room for their growth. The NHTSA highly recommends the 5-point harness booster seats for toddler and that you should stick to this design for as long as your child needs a booster seat for the car. If you are also looking for convenience and practicality then getting a combination seat is the best way to go. This type of toddler seat is designed to convert from rear-facing to a forward-facing seat in order to accommodate your child’s growth. How often do you travel with your kid? While the combination booster seat is the ideal choice, it can be quite heavy and bulky. Not qualities you would want if you will be switching vehicles a lot. If you have your own car then the weight is not as big of a factor. However, for those who don’t and will usually require carpooling to travel, a lightweight and easy to tote booster seat is something you should look for. Do you have ample space inside your vehicle? The last thing you want with a booster seat is for it to take too much space inside your car. If you have a compact car, try to get a compact and narrow booster seat. Take your vehicle’s size into consideration when picking a booster seat. What is the average duration of your trips? Do you travel short distances or do your average trip takes more than a couple of hours? 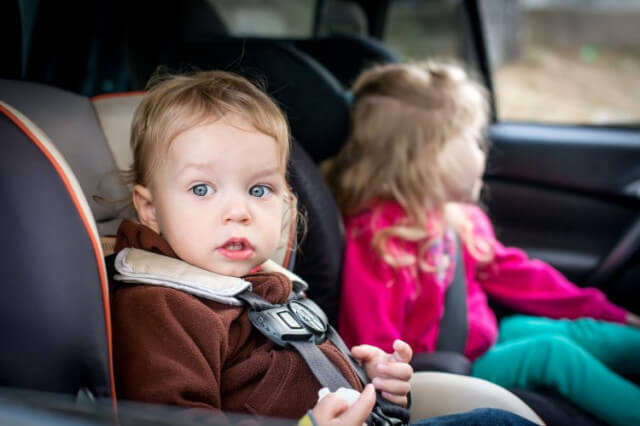 If you and your child spend a considerable amount of time inside the vehicle then try to focus a bit more on comfort when choosing a booster seat. The comfort of the booster seat will depend on the quality of the padding and the foam. Pick a booster seat that offers a decent amount of adjustability. For example, booster seats that come with armrests and head wings can help prevent your child from slumping awkwardly when they fall asleep on the road. You can also get booster seats that have cup holders and the like. Remember, if your child will be spending a considerable amount of time on the booster seat then opt for something that offers high comfort as well as safety. Do you prefer an easy to clean booster seat? Let’s face it, kids can be quite messy. This makes the booster seats extremely susceptible to grime and stains caused by snacks and drinks. There is also the chance of your kid getting a bit of car sickness that can really leave a mark (and smell) inside your vehicle and their seat. To circumvent this problem, go for a booster seat that has a removable cover. Most will offer this feature but not all, so make sure first. What type of car seats do you have? Does your vehicle have low-back seats or contoured seats? For cars that have low-back seats, a high-back booster seat is a great choice. Booster seats should be designed to fit perfectly on your car’s seats. Do you plan on using the booster seat again in the future? Like everything else, booster seats do have an expiration date. If you are planning on having another child in the near future, you should consider the expiration date of the booster seat. Some are designed to last for 4 years while others can survive for 6 or more. Check this detail if longevity will be an important factor for you. 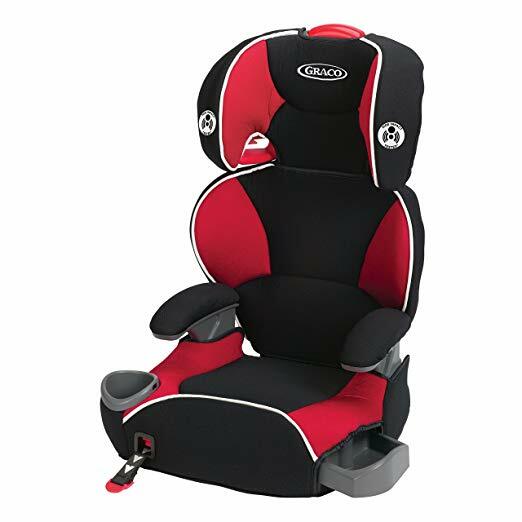 Graco Affix is a 2 in 1 booster seat designed to be a backless and high-back booster seat. This gives it a significant improvement when it comes to longevity and is compatible with almost all car seat types. It can support a weight of up to 100 lbs. for both modes. It also incorporates the use of high-quality EPS material which is an energy absorbing foam designed to greatly dampen impacts. It also comes with an extremely durable side-impact design for enhanced safety of your child. Installing the Graco Affix booster seat is also made simple with its one-hand latch mechanism. The headrest can also be fully-adjusted to accommodate a growing toddler, keeping them safe, secure, and comfortable. Comfort is also enhanced by the full-cover back support as well as a multi-layer headrest. These two features ensure your child will stay comfortable during long periods of travels. Speaking of comfort, the Graco Affix also does not skimp in the convenience department. You can see that it has a built-in cup holder located on the right side of the booster seat and a nifty storage compartment hidden on the left side. The cup holder is well-designed and should prevent your child’s cup from tipping over. As for cleaning the booster seat, you can rest easy knowing that the seat cushion is machine washable. Assembly and installation of the Graco Affix is also another highpoint of this booster seat. Installing and removing it from your car is easy making it another good choice for those who often switch rides. The Graco Affix Booster seat definitely earns its stripes as one of the best booster seats in the market today. Similar to the Graco Affix, the Turbobooster is also designed as a 2-in-1 booster seat. It can be adjusted into backless or a high-back booster seat. Again, this significantly increases the booster seat’s longevity. The weight limit stays the same at 100 lbs. to be precise, the backless mode can handle a child’s weight between 40 to 100 lbs. while the high-back mode can support 30 to 100 lbs. The Graco Turbobooster also utilizes the one-hand latch system that makes it incredibly easy to install onto your car seats properly and securely. The latch system offers great stability for the booster seat that even when unoccupied it stays completely still. This latching system also allows for the child to buckle themselves in properly without difficulty. The Turbobooster also comes with a multi-layer adjustable headrest design that can accommodate your child as they grow, keeping them comfortable for a couple more years. The Turbobooster does have certain noticeable improvements such as the enhanced side-impact protection. The sides of the booster seats have been rigorously tested to ensure that it can withstand and protect considerable impacts and shocks. Add the EPS foam into the equation and you get one of the sturdiest booster seats available in the market today. The EPS foam is an energy-absorbing material that will dampen sudden jolts and the shakes when traveling through rough terrain. This booster seat also comes with a highly adjustable headrest and armrest. It definitely offers top-notch comfort to children in this regard. As for added convenience, the Turbobooster also comes with two built-in cupholders so that your child can enjoy their drinks during long trips. The Turbobooster uses machine-washable seat cushions which means cleaning is considerably easier. As for assembly and installation, it appears that the Graco Turbobooster is just as quick and easy to assemble as the Affix. In terms of safety and security, both Affix and Turbobooster have surpassed the industry standard. Both incorporate extremely durable side-impact protected casing and both use the EPS energy absorbing foam . 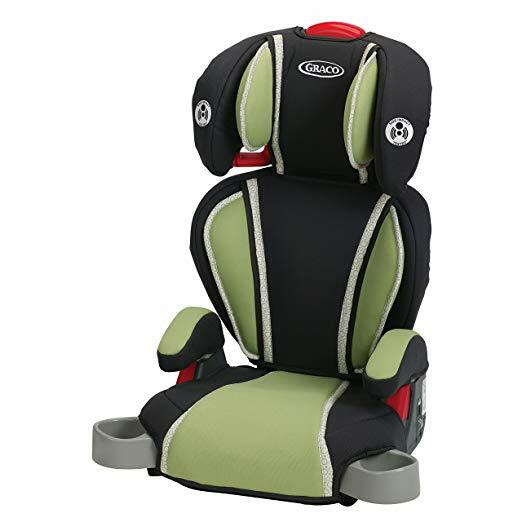 This combination of top-notch construction and material pushes both upwards to the upper echelon of the safest booster seats for kids in the market today. Choosing who wins in this category will require a bit more diving. A closer look at both booster seats will reveal a slight difference in terms of how they can keep the child secure. The Turbobooster, for example, utilizes a combination of the child’s weight and the car’s built-in seatbelts to provide safety and security. This actually makes the Turbobooster slightly more susceptible to wobbling issues. Compare that to the Affix, which uses a latch system, and you clearly see the difference. The Affix latch system is used as an anchor. It hooks onto the car seat itself and with a little bit of adjustment with the straps on the front, you can completely eliminate any risk of wobbling. Both Graco booster seats feature almost similar designs when it comes to the interior padding and headrest. One shortcoming that both have is the rather limited padding on the seat itself. It is still comfortable but when you compare it to other high-end booster seats, you will notice it incorporates less padding on that specific area. Graco does manage to balance this out with excellent back support and armrest. Both the Affix and the Turbobooster come with highly adjustable back support and headrest. This makes it easier to find that perfect comfortable position for your kid. It also comes with the padded armrest which can also be adjusted and can deliver a more relaxing experience for toddlers. The Graco Affix once again edges out the win in this category due to two specific factors. One, the fabric used on the seat feels more comfortable as it utilizes breathable fabric. Two, the high-back mode of the Affix can be reclined. This capability to recline is an excellent feature for kids who are transitioning between booster seats and actual car seats. The design of the headrest for the Affix also helps keep the child’s head from swinging left and right when they fall asleep. Both the Affix and the Turbobooster once utilizes similar features when it comes to its adjustability. The headrest uses a latch that you need to pull in order to adjust the headrest to the right height. Both also offer high levels of adjustability, especially when in high-back mode. Both the Graco Affix and Turbobooster were designed to be used on long trips as it can offer top-notch comfort for toddlers and older children. Booster seats are basically transitional seats for kids. Unlike baby seats, booster seats should be designed so that kids can easily buckle themselves on their own. So, this feature should be among the first you check when picking a booster seat. 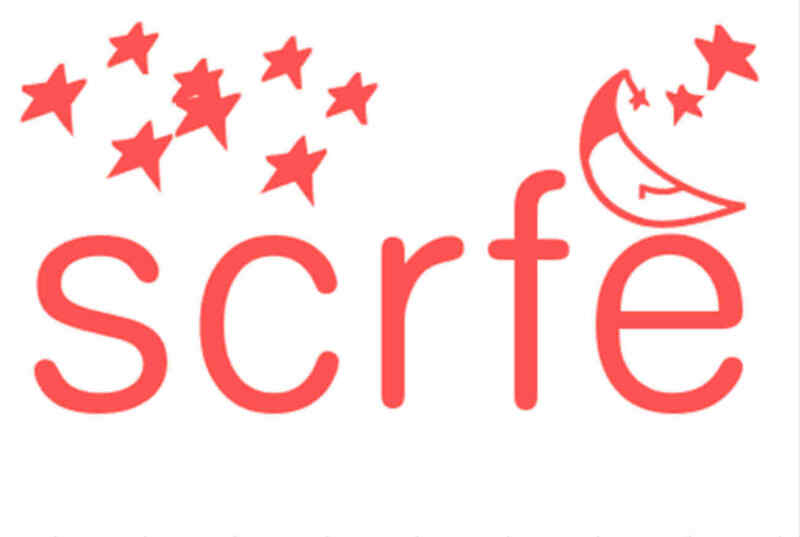 How do the Affix and the Turbobooster fair in this regard? Pretty good. Both booster seats are designed so that kids can easily adjust the buckles without the need of any assistance. Instructions on how to do so are simple so teaching your child how do it can be accomplished in a matter of minutes. One of the main features for both booster seats can also cause some difficulty when it comes to installing the booster seat to your car seat. The armrest does not rotate so it can be a bit of a hindrance. While you can adjust the height of the armrest to keep it out of the way when buckling the seat, you will need to do this every time which is a bit of a hassle. Once again, the Graco Affix appears to have the upper hand here because of one key feature: the latch system. The latch system keeps the seat in place while your kid buckles himself in. Something the Turbobooster cannot do. Up until this point, it appears that both Graco Affix and the Turbobooster are almost equal in every way, with the Affix gaining a slight edge. However, this will be the category that will show a clear divide between the two booster seats. Extra features can vary, but for these two booster seats, it is the cupholders and extra compartment. As you can easily see with the Affix, it offers a built-in cupholder and a hideaway compartment on each side. The Turbobooster, on the other hand, comes with two large cup holders on each side. While the Affix does offer a compartment, the size is rather small so the items you can place there are rather limited. The compartment also has a habit of getting caught the fabric. The cup holder cannot be folded which might be a nitpick for some. The Graco Turbobooster comes with two cup holders that can be hidden away when not in use. While not the best designed, the Graco Affix manages to edge out the win thanks to the compartment. 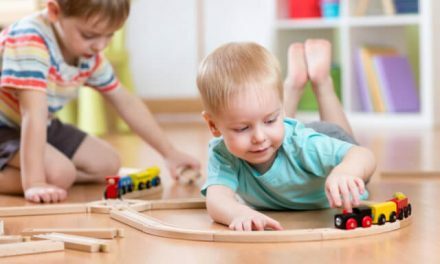 It allows kids to bring their toy or handheld console during trips which is a nice feature to have that should teach them to be more self-reliant in a way. Finally, we get to each booster seat’s longevity. The good news is that both can accommodate the same height and weight which means you pretty much get the same quality for both. Each can support a child’s weight from 30 to 100 lbs. and both can accommodate 28 to 57-inches in height. As you can see from the comparisons above, the Graco Affix get a near clean sweep. Also, it is important to point out that both are extremely similar in construction and quality. The categories that the Graco Affix won are too close to call as a definite win. Graco Affix might be the older model but it still manages to slightly upstage the newer Turbobooster. However, the Turbobooster does have its strengths such as better padding. It is just that the Affix, overall, offers a more well-rounded experience on every front. The Graco Affix also takes a clear advantage with its latch system. This allows parents to completely anchor the Affix onto the car seat. The Graco Turbobooster utilizes hook loops and the child’s weight to keep it in place. This actually makes the Turbobooster more susceptible to wobbling when traveling. If we will give a summary here, the Graco Affix offers more security and a welcome additional feature (compartment) while the Graco Turbobooster delivers better comfort. Both are virtually identical except for a slight edge for each in both of these categories. If we will be crowning a winner, it will have to be to the Graco Affix booster seat. It is a more well-rounded choice with a better additional feature which is the hidden compartment on the side. Other than that, you can get either one and be adequately satisfied. 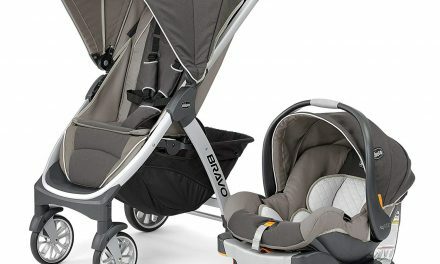 Graco is a well-known manufacturer of baby and toddler gear and accessories. As you can see with their Affix and Turbobooster seat, they know exactly how to deliver a top-quality product. Choosing between the two will most likely be down to personal preference, seeing as both offers extremely similar performances. Hopefully, this guide has helped you determine which one to choose. You can also use our guideline above on how to pick booster seats for children if you prefer to check other brands. 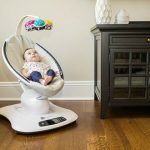 PreviousMamaroo Vs Graco Glider: How To Pick The Right One For Your Baby ! NextBritax Boulevard VS Marathon – How To Choose The Better One ?